At the time of the first European contact, North Carolina was inhabited by a number of native tribes sharing some cultural traits, but also distinguished by regional and linguistic variations. Three major language families were represented in North Carolina: Iroquoian, Siouan, and Algonquian. The Iroquoian tribes – the Cherokee, Tuscarora, Meherrin, Coree, and Neuse River – were related linguistically and culturally to the Iroquois tribes to the north. The Algonquian-speaking tribes represented the southernmost extension of predominantly Northeastern Woodlands tribes and were located entirely in the tidewater area of the state. These were the Bear River, Chowan, Hatteras, Nachapunga, Moratok, Pamlico, Secotan, and Weapomeoc. The Cherokee were located in the mountains in the western part of the state, and the Tuscarora, Meherrin, Coree, and Neuse River were located in the coastal plains. In the Piedmont, or central portion, of the state were the Siouan tribes: the Cape Fear, Catawba, Cheraw, Eno, Keyauwee, Occaneechi, Saponi, Shakori, Sissipahaw, Sugaree, Tutelo, Waccamaw, Wateree, Waxhaw, and Woccon. When European explorers arrived in the 1600s, Native Americans were organized into many groups. The largest groups were the Cherokee, the Catawba, and the Tuscarora. There were a number of smaller groups but many of these died out after European contact. The largest Native American tribe to inhabit the area now known as North Carolina was the Cherokee Tribe. At the time of their first contact with Europeans, in the mid-16th century, the Cherokee lived in the isolated hills and valleys of the highest portions of the Southern Appalachians. Related linguistically to the Iroquois to the north, some scholars believe that successive groups of Cherokee were driven southward in pre-Columbian times until they settled in the Southern Appalachians. In 1629, the first traders from the English settlements began trading among the Cherokee. By the beginning of the 18th century, Cherokee territory had expanded to include Allegheny County in southwestern Virginia, western North Carolina, northwestern South Carolina, eastern Tennessee and northern Georgia and Alabama. Abundant in natural resources, this area provided over 800 species of plants used for food, medicines, and crafts. A wide variety of trees in the dense forests was available for fuel, weaving fibers, twine, medicinal barks, and the framework and covering of dwellings, while plentiful animals provided food, clothing, shelter, and medicine. The Cherokee Treaty with the Governor of the Carolinas in 1721 is thought to be the first concession of land. Treaty of Hopewell in 1785 is the first treaty between the United States government and the Cherokees. The Treaty of Holston signed in 1791 included a call for the U.S. to advance Cherokee civilization by giving them farm tools and technical advice. After the American Revolution, the newly established states of Georgia, South Carolina, Alabama, and Mississippi took the lead in forcing the Southeastern Indians into exile. By then, the white populations of those states already greatly outnumbered the Indians, who were then living in relatively small enclaves. The state governments, under pressure from their citizens, demanded the removal of the tribesmen to the regions far to the west. In 1828, the Georgia Legislature abolished tribal government and expanded its authority over Cherokee country. In 1832, the US Supreme Court decision Worcester v Georgia established tribal sovereignty, protecting the Cherokee from Georgia laws. In defiance of Supreme Court decision, President Andrew Jackson refused to enforce the decision, and Georgia held a lottery for Cherokee lands. In 1835, the Treaty Party signed the Treaty of New Echota, giving up title to all Cherokee lands in the southeast in exchange for land in Indian Territory. When the elected leader of the Cherokee, John Ross, refused the U.S. government’s offer of money and land in Oklahoma, in exchange for the land previously guaranteed to the Cherokee, the federal government simply chose to deal with a group of Cherokee who were willing to move to Oklahoma for the price offered. The Ridge Party, as this faction came to be called, was led by Major Ridge, his son John Ridge, and his nephews Elias Boudinot and Stand Watie. Once the deal was approved, the Ridge Party was paid, and they began their journey west. After news of the treaty became public, the elected officials of the Cherokee Nation instantly objected that they had not approved any treaty, and that the document was invalid. John Ross and the Cherokee tribal council begged the US Senate not to ratify the treaty, but the measure passed in May of 1836 by one vote, thanks in part to President Andrew Jackson’s support. John Ross later drew up a petition asking Congress to void the treaty – a petition he delivered to Congress in the spring of 1838 with more than 15,000 signatures attached. The petition was disregarded by then President Martin Van Buren, who soon thereafter directed General Winfield Scott to forcibly move those Cherokee who had not yet complied with the treaty. 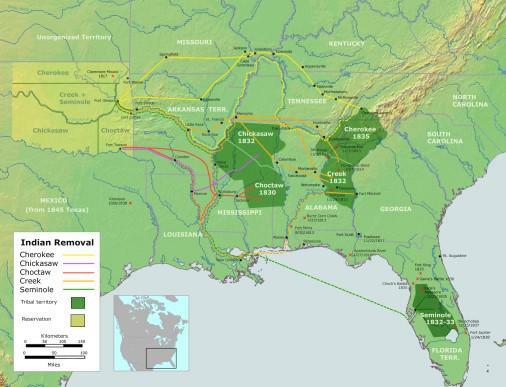 After the Treaty of New Echota was enforced, the Cherokee people were almost entirely removed west of the Mississippi. Upon arrival in Indian Territory, many of those who had been forcibly removed took their anger out on the Ridge Party – several signers of the treaty were killed, and the Cherokee nation endured 15 years of civil war. In 1838, the Cherokee Nation was forced to give up its lands east of the Mississippi River and to migrate to Indian Territory in present-day Oklahoma. 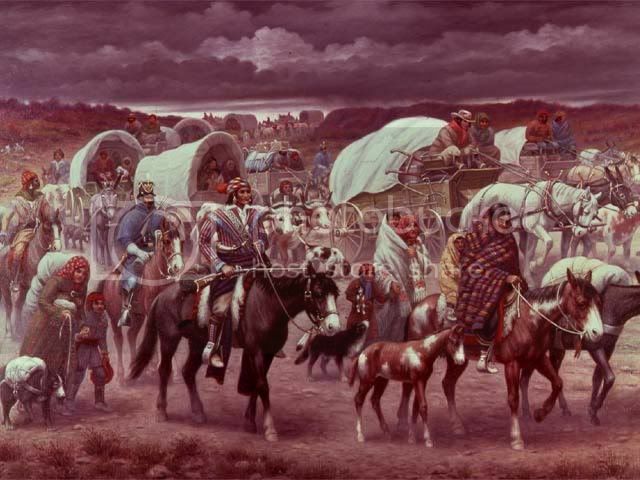 The Cherokee people called this journey the Trail of Tears, because of its devastating effects. Of the 16,000 Cherokees who were herded into stockades and marched west by U.S. troops, about 4,000 died of disease, exposure, and fatigue. At the time of the first contact of Europeans with the Indians, the Algonquian tribes occupied the tidewater areas of the Atlantic Coast extending from Canada to as far south as the Neuse River in North Carolina. In 1584, the estimated 7,000 Algonquians living in North Carolina were relative newcomers to the Southeast, having come in a series of migrations. 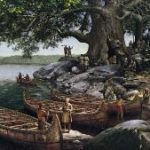 To some extent, they retained cultural elements from their Northeastern Algonquian traditions, but there was also a great deal of cultural borrowing from their southern neighbors. They adapted to the geographical and climatic conditions of the area, and they were more water-oriented and placed more emphasis upon hunting, fishing, and gathering than their neighbors did. The Catawba were a Siouan-speaking tribe of the Piedmont area at the time of the first European contact. Little is known of their culture and lifestyle at that time, since contact was sporadic and little was documented. What is known, is based largely on the writings of John Lawson, who explored the piedmont territory and visited the Catawba in 1701. The Catawba Nation was actually a military alliance of several Siouan tribes and remnants of tribes who had been decimated by war and disease, and joined the Catawba. After the Yamasee War they became known as the Catawba, which means “cut off,” apparently referring to their being cut off from other Siouan tribes. 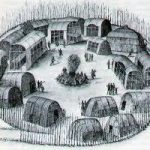 The Catawba lived in bark covered long houses. Religion was a prominent part of their lives. Large temples structures were prominent parts of their villages. The Catawba were farmers, with maize being the main crop. They were also hunters and fishers, as well as fierce warriors. Their traditional enemies were the Cherokee, Shawnee, Delaware, and the Iroquois. The Catawba warrior presented a fearsome sight. Their faces would be painted for war, with a black circle pattern around one eye, a white circle around the other and the rest of the face painted black. Their hairstyle was in ponytail style. At the time of contact, there were approximately 6,000 Catawbas, equal in size to the Tuscaroras. The only tribe larger than these two groups was the Cherokee. The Tuscarora War was fought in North Carolina from the autumn of 1711 until February 1715. 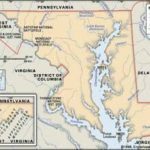 Involved in the conflict were the British, Dutch, and German settlers and the Tuscarora Indian tribe. A treaty was signed in 1715. The first successful and permanent settlement of North Carolina by Europeans began in earnest in 1653. The Tuscarora Native Americans lived in peace with the European settlers for more than fifty years – at a time when nearly every other colony in America was actively involved in some form of conflict with the natives. There were two primary contingents of Tuscarora at this point, a Northern group led by Chief Tom Blunt and a Southern group led by Chief Hancock. Chief Blunt occupied the area around present-day Bertie County on the Roanoke River. Chief Hancock’s contingent lived closer to New Bern, North Carolina, occupying the area south of the Pamplico River (now the Pamlico). While Chief Blunt became close friends with the Blount family of the Bertie region, Chief Hancock found his villages raided and his people frequently kidnapped and sold into slavery. Both groups were heavily impacted by the introduction of European diseases, and both were rapidly having their lands stolen by encroaching settlers. 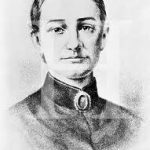 Ultimately, Chief Hancock felt there was no alternative but to attack the settlers, but Chief Blunt didn’t become involved in the war at that point. The Southern Tuscarora, led by Chief Hancock, worked in conjunction with other tribes – the Pamplico, the Cothechney, the Core, the Mattamuskeet, and the Matchepungoes to attack the settlers in several differnet locations at once. Principal targets were planters on the Roanoke River, and planters on the Neuse and Trent Rivers, and the city of Bath. The first attacks began on September 22, 1711, and hundreds of settlers were ultimately killed, and several key political figures were either killed or driven off in the subsequent months. Governor Edward Hyde called out the militia of North Carolina, and secured the assistance of the Legislature of South Carolina, who provided “six hundred militia and three hundred and sixty Indians.” That force attacked the Southern Tuscarora and other tribes in Craven County and at Fort Narhantes on the banks of the Neuse River in 1712. The Tuscarora were defeated, and more than 300 were killed, and 100 made prisoners. These prisoners were largely women and children, who were ultimately sold into slavery. Chief Blunt was then offered the chance to control the entire Tuscarora tribe, if he assisted the settlers in putting down Chief Hancock. Chief Blunt was able to capture Chief Hancock, and the settlers executed him in 1712. In 1713, the Southern Tuscaroras lost Fort Neoheroka in Greene County, and 900 were killed or captured. At that time, the majority of the Southern Tuscarora began migrating to New York to escape the settlers in North Carolina. The remaining Tuscarora signed a treaty with the settlers in June 1718, that granted them a tract of land on the Roanoke River in what is now Bertie County. This was the area already occupied by Chief Blunt, and was specified as 56,000 acres. The chief was then recognized by the Legislature of North Carolina as King Tom Blunt. The remaining Southern Tuscarora were removed from their homes on the Pamlico River and made to move to Bertie. In 1722, Bertie County reservation was chartered, and over the next several decades the remaining Tuscarora lands were continually diminished, as they were sold off in deals that were frequently designed to take advantage of the Native Americans. In New York, part of the Tuscarora and Oneida nation sided against the rest of the Iroquois Confederacy by fighting for the newly established colonial government during the American Revolutionary War. Those who remained allies of Great Britain later followed Joseph Brant into Ontario. In 1803 the final contingent of the Tuscarora migrated to New York to re-join with the nation at the reservation in Niagara County, under a treaty directed by Thomas Jefferson. In 1831, the Tuscarora sold the remaining rights to their lands in North Carolina. By then, the 56,000 acres had been pared down to a mere 2,000 acres. Despite not having a reservation in North Carolina, significant numbers of Tuscarora remained there. The first known European exploration of North Carolina occurred during the summer of 1524. A Florentine navigator named Giovanni da Verrazano, in the service of France, explored the coastal area of North Carolina between the Cape Fear River area and Kitty Hawk. A report of his findings was sent to Francis I and published in Richard Hakluyt’s Divers Voyages Touching the Discoverie of America. No attempt was made to colonize the area. Between 1540 and 1570 several Spanish explorers from the Florida Gulf region explored portions of North Carolina, but again no permanent settlements were established. Coastal North Carolina was the scene of the first attempt to colonize America by English-speaking people. Two colonies were begun in the 1580s under a charter granted by Queen Elizabeth to Sir Walter Raleigh. The first colony, established in 1585 under the leadership of Ralph Lane, ended in failure. A second expedition under the leadership of John White began in the spring of 1587 when 110 settlers, including seventeen women and nine children, set sail for the New World. The White Colony arrived near Hatteras in June, 1587, and went on to Roanoke Island, where they found the houses built by Ralph Lane’s expedition still standing. Virginia Dare became the first child born to English-speaking parents in the New World. The colonists faced many problems. As supplies ran short, White was pressured to return to England for provisions. Once in England, White was unable to immediately return to Roanoke because of an impending attack by the Spanish Armada. When he was finally able to return in 1590, he found only the remnants of what was once a settlement. There were no signs of life, only the word CROATAN carved on a nearby tree. Much speculation has been made about the fate of the Lost Colony, but no one has successfully explained the disappearance of the colony and its settlers. The first permanent English settlers in North Carolina were immigrants from the Tidewater area of southeastern Virginia. The first of these overflow settlers moved into the Albemarle area of northeast North Carolina around 1650.